Hello there guys, today I present you our Fall 2018 Anime Guide. I have researched some upcoming anime with Kuma. I am working together with Kuma (as the co-writer) on this blog post. And we have decided to bring you our top recommendations of fall 2018 anime. The new season is going to be very interesting. We are having many sequels to some old anime. Included with releases of new promising series and adaptations. We will be covering new adaptations in this article, and Kuma will explain the Fall 2018 anime sequels list. Note: The list of anime is not ranked in any order, we will just be naming down the ones we think are worth checking out this season. Even though I said that I won’t be ranking this list, I am still putting Goblin Slayer first because it’s one of my favorite upcoming fall 2018 anime. This is one of the rare few dark fantasy anime that we are getting. Along with other such as Clannad or Berserk (which had a bad adaptation). 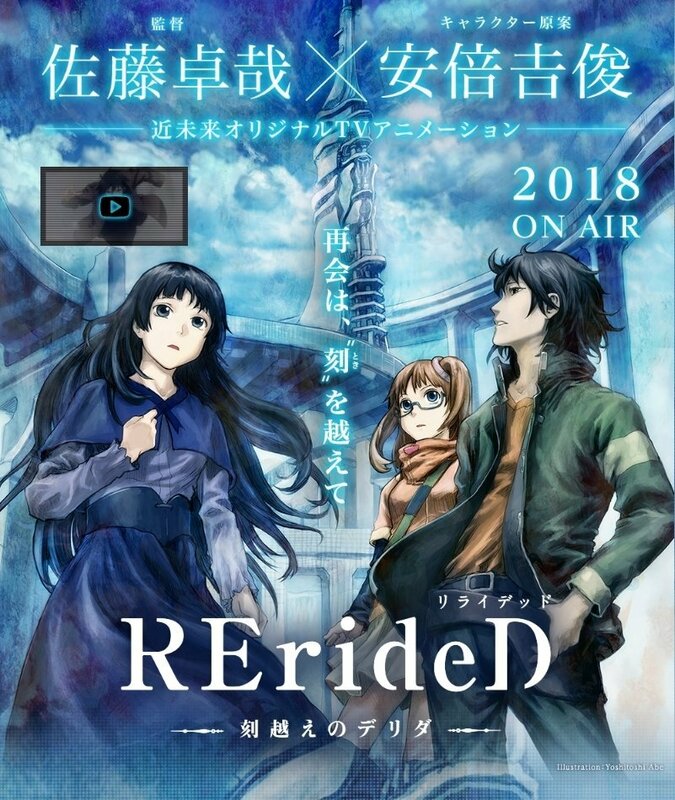 Hopefully, if this series goes well, we might see more Dark Fantasy anime coming. The anime is adapted by White Fox so we can expect some good animation. The story is about a young priestess who puts together her first adventuring party. Very soon they find themselves in trouble when a swarm of goblins start to attack them. A mysterious man in armor comes to their aid. 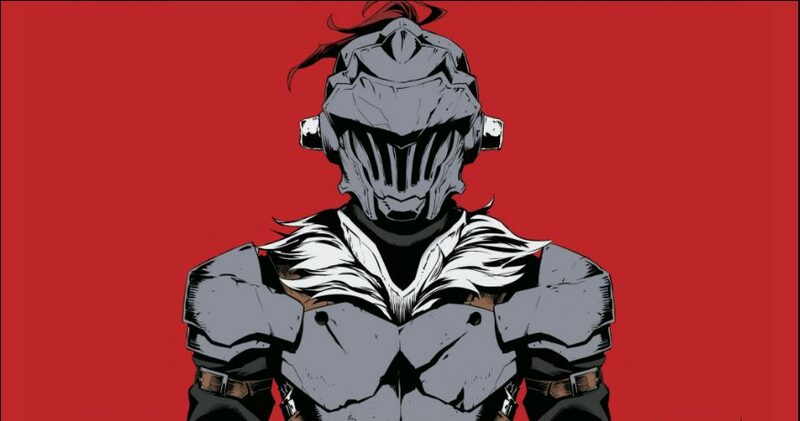 Known as the Goblin Slayer. A man with a mission to exterminate all goblins, by any and every means necessary. Soon, this daring act makes rounds and now there is no telling who might show up next. Lonely thirty-seven-year-old Satoru Mikami is stuck in a dead-end job, unhappy with his mundane life, but after dying at the hands of a robber, he awakens to a fresh start in a fantasy realm…as a slime monster! Consequently, as he acclimates to his goopy new existence, his exploits with the other monsters set off a chain of events that will change his new world forever! 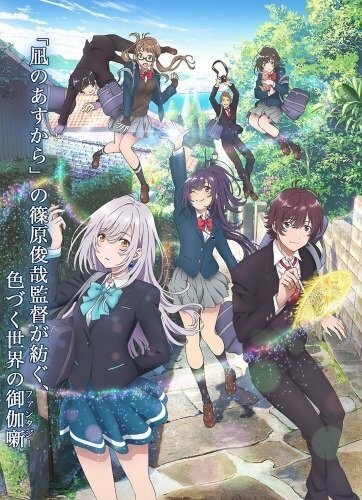 This is an anime original series worth checking out because it focuses on a subject you almost never see in anime it’s about a Main character who is colorblind. It’s rare for anime to focus around characters with disabilities. It might end up being a great and heartfelt Slice of life anime with some Sci-fi elements involving Time Travel. It overall sounds interesting. Altogether, we had to put it on our list of fall 2018 anime recommendations. The story takes place in a city called Nagasaki. Hitomi Tsukishiro (17 years old) as the main character is one of the descendants of an old which family. However, Hitomi has had problems growing up, and has some emotional issues. Therefore, her concerned grandmother sends her back into time. Hitomi then spends her school days with her young grandma and her friends. Definitely, one of the Fall 2018 anime worth mentioning because it’s a brand new anime series by Studio Trigger and people who know Studio Trigger know how great and often over the top the action animation and characters are in there series. It being a brand new project by them makes it something to look forward to since trigger always makes the most hype action anime. 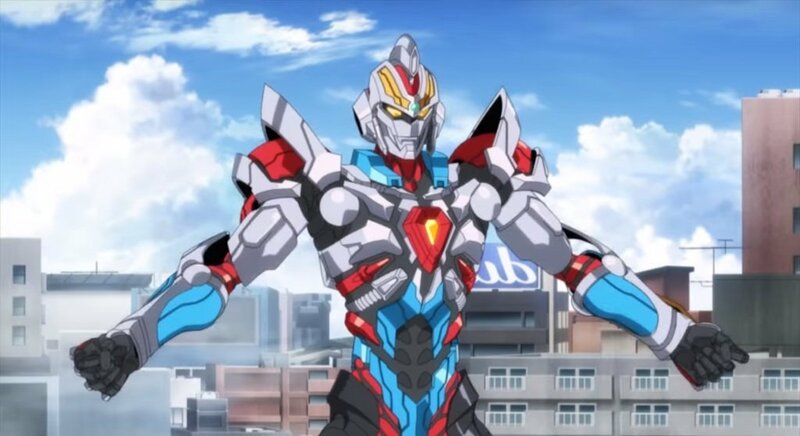 Studio Trigger has decided that they will not be adapting the original story from the old anime. However, they have announced that they are drawing ideas and visuals from the original anime. No official synopsis has been revealed, so the only thing we can do is wait and see. 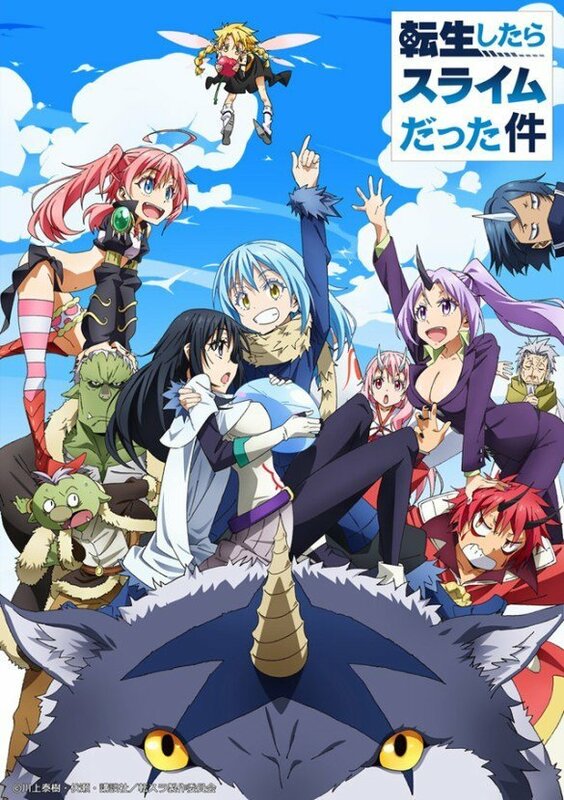 Therefore this is an anime I recommend you check out and then decide to see if it’s good or not. This is a really interesting Fall 2018 Anime. It’s a Japanese anime adaption based on a French shounen manga. What an odd combo that is right? I don’t know much and can’t say much about it but seeing as how unique this is it might be something worth watching, heck maybe end up being the Hidden Gem of next season you never know. All we know is judging by the synopsis, that this is another magic anime with a shounen vibe. The story follows Seth who is one of the “infected”. He is one of the few who have survived the contact of the Nemesis. The story takes place in the Pomp Hills. Seth is on his path to becoming a great sorcerer in order to find Radiant. Radiant is a hidden cradle that Seth and his friends are searching for while hunting the monsters and going on various quests. This is definitely of the new fall 2018 anime to keep an eye out. Because it is very hyped by Japanese fans. Since it’s being Director by the person who did the first season of Steins;Gate. The first 4 episodes have already been posted online but the series officially starts next season. In 2050, a young engineer with Rebuild, Derrida Yvain’s contribution to the development of “Autonomous Machine DZ” gets him immense fame. But events soon take a turn for the worse when unknown forces start to attack them. Thus begins the story of a journey for hope, a day for Derrida to meet Mage and save her. 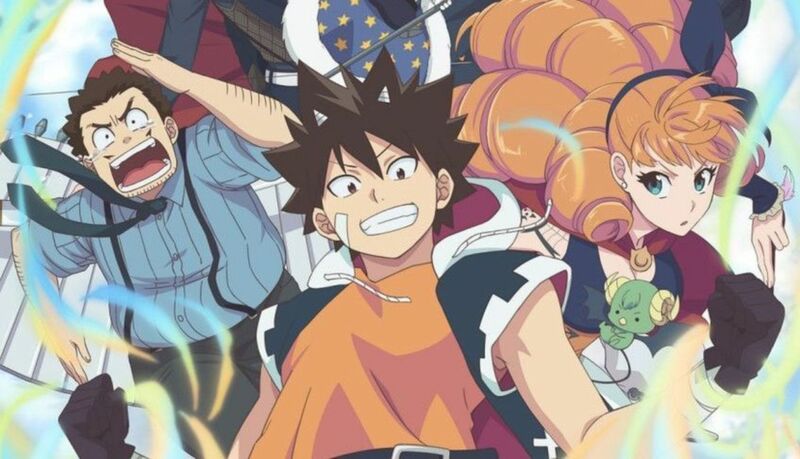 Another very anticipated Fall 2018 anime is definitely Double Decker! 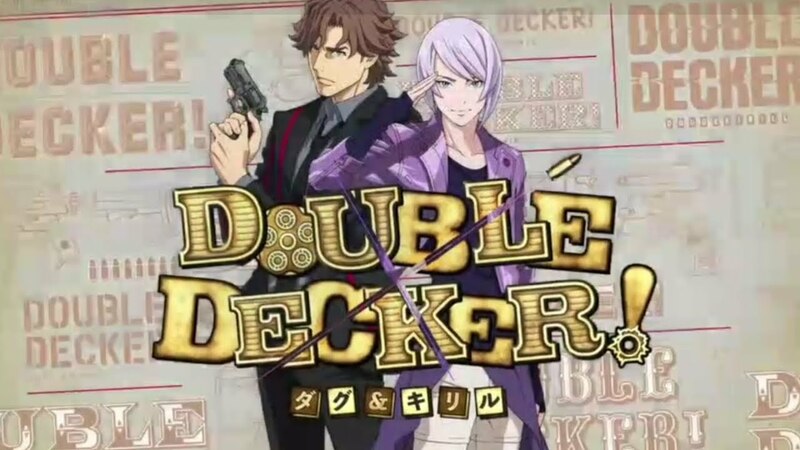 Double Decker is a spin-off from a popular hero series titled Tiger & Bunny. If you have not heard of Tiger & Bunny, then to explain shortly. It’s an anime with a more adult/dark portrayal of the hero society. As opposed to more fun side of it in Boku no Hero Academia. In the deep shadows of a beautiful and peaceful city of Lisvaletta lurks crime indulged with illegal drugs. In the depths of the shadows, a lethal drug Anthem is born. A Special Investigation Unit named Seven-0 specializes in cracking down crimes related to the drug. Units are formed in teams of 2. Dough Billingham and Kiril Vrube have teamed up in order to solve these crimes. The next fall 2018 anime recommendation goes to Zombieland Saga. What’s Zombieland Saga? It’s an original television animation by Studio Mappa. Studio Mappa has done some great anime so far. So I am quite excited for this anime. Even if the story ends up being bad, we can be sure that the animation will look good. The latest work from Studio Mappa is Banana Fish, another great anime from last season. Definitely worth checking out if you have not seen it yet. 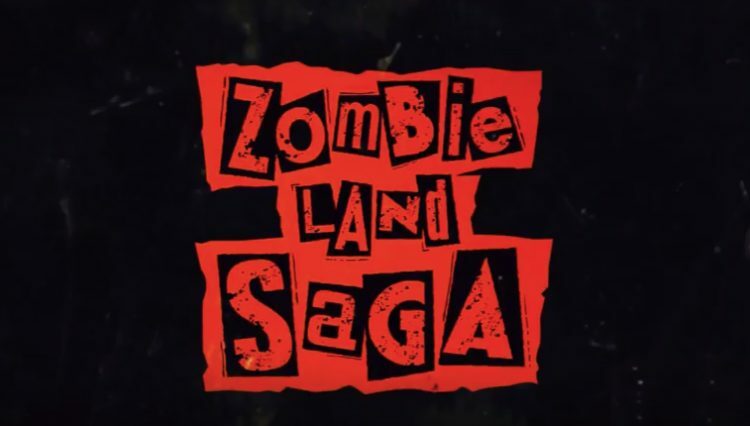 The story will follow seven girls as they fight their way through an infected Zombieland. After their peaceful world has been turned to chaos, they had no other choice but to protect themselves. With only survival in their mind, they team up and together fight against the zombies in order to survive. This right here will be another pure hype. Therefore it deserves to be on our list of fall 2018 anime recommendations. I understand many might think it’s weird because it’s about Sumo wrestling but trust me it’s amazing one of the better sports anime out there currently. 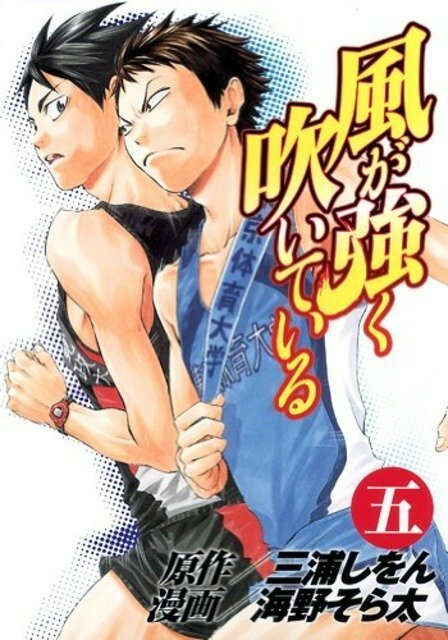 It has some of the best moments you’ll see in sports manga and it will be interesting to see how it translates over to anime. 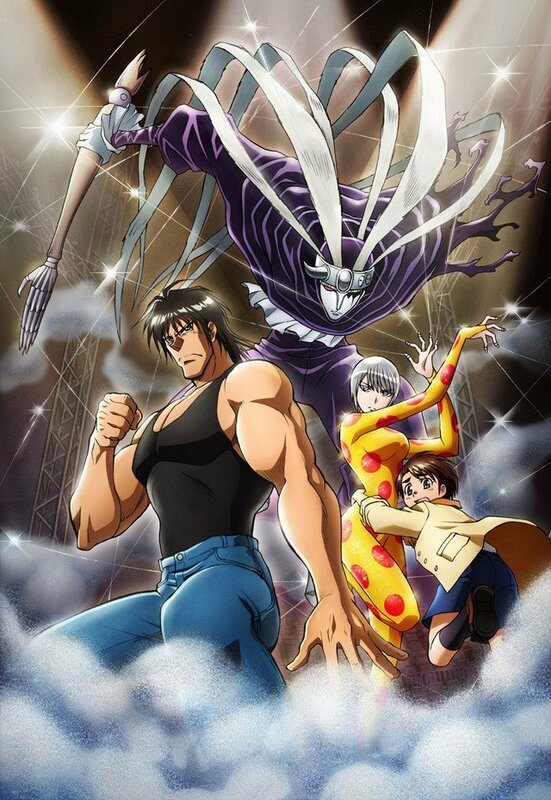 From the author that brought us one of the most underrated shounen anime Ushio and Tora. This is another pretty weird and action pack series from this author. There are many reasons why I am very excited for this fall 2018 anime. Considering that this is only the second series by Kazuhiro Fujita to receives an anime adaption. I do have to say it makes me quite happy. Kazuhiro Fujita has to be one of the most underrated authors of this generation. But considering Kazuhiro Fujita has had 3 different manga. That almost has over 300 chapters each. He has been an author that has been constantly producing/making manga since the 90’s. But none of those long-running manga he has made over the years has ever received a proper anime adaption(ignoring the 90’s Ushio to Tora OVA) until now. I do not know what triggered it but Kazuhiro Fujita is finally having his manga receive the anime adaptions they deserve. I do hope these adaptions make it so that he is an author that gets noticed a bit more in the west. We have a great sports themed upcoming fall 2018 anime worth checking out.Kate ga Tsuyoku Fuiteiru is a new sports anime by Production I.G. Production I.G. is another great studio that constantly makes pleasing adaptations, especially about sports. Focus of this series is marathon relay races. Doesn’t sound exciting at first but knowing Production I.G they’ll make it exciting and fun to watch. So I would recommend this to people looking for what might be a good sports anime. And the last on our list for fall 2018 anime recommendations is Bloom Into You (Japanese title: Yagate Kimi ni Naru,). 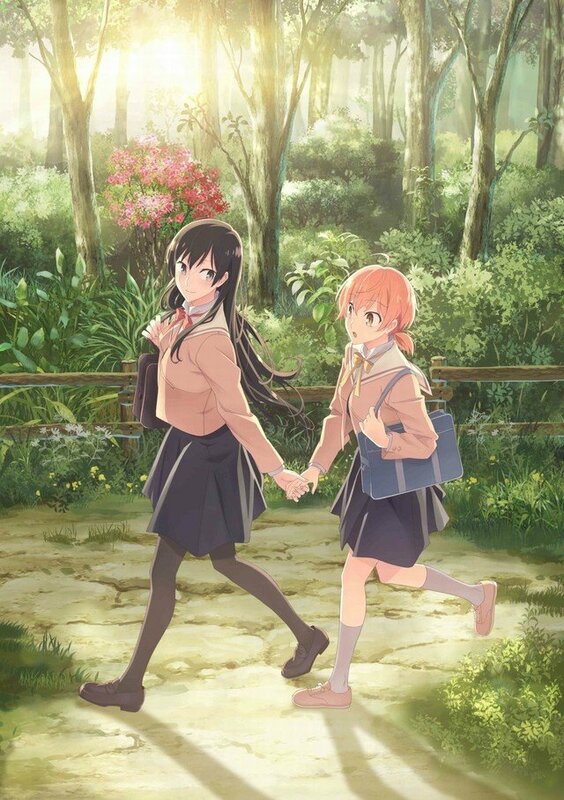 Bloom Into You is a yuri romance manga by Nio Nakatani. It follows the story of Yuu, a young girl who has always loved shoujo manga, discovers that love is nothing like what she has imagined it to be from girls’ comics and pop music. But when the beautiful student council president Nanami confess to her, she is left wondering. I would definitely recommend this series to Yuri fans.